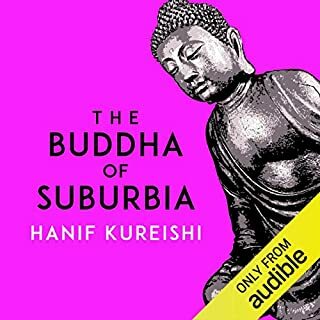 The hero of Hanif Kureishi's debut novel is a dreamy teenager, desperate to escape suburban South London and experience the forbidden fruits which the 1970s seem to offer. When the unlikely opportunity of a life in the theatre announces itself, Karim starts to win the sort of attention he has been craving, albeit with some rude and raucous results. Desiderio, an employee of the city under a bizarre reality attack from Doctor Hoffman's mysterious machines, has fallen in love with Albertina, the Doctor's daughter. But Albertina, a beautiful woman made of glass, seems only to appear to him in his dreams. Meeting on his adventures a host of cannibals, centaurs and acrobats, Desiderio must battle against unreality and the warping of time and space to be with her, as the Doctor reduces Desiderio's city to a chaotic state of emergency - one ridden with madness, crime and sexual excess. Sharp-eyed Marianne lives in a white tower made of steel and concrete with her father and the other Professors. Outside, where the land is thickly wooded and wild beasts roam, live the Barbarians, who raid and pillage in order to survive. Marianne is strictly forbidden to leave her civilised world but, fascinated by these savage outsiders, decides to escape. There, beyond the wire fences, she will discover a decaying paradise, encounter the tattooed Barbarian boy Jewel and go beyond the darkest limits of her imagination. No one wants to be a victim, but most find the event too hypnotic to ignore. In order to save their traveling carnival from bankruptcy, the Binewskis are creating their own brood of sideshow freaks. Under Al's careful direction, the pregnant Lil ingests radioisotopes, insecticides, and arsenic to make her babies "special". Said to be part woman, part swan, Sophi Fevvers stars in Colonel Kearney's Circus, beloved and admired by audiences all around Europe. Courted by the Prince of Wales himself and fawned on by American journalist, Jack Walser, Sophi defies expectation by embarking on a journey of self-discovery, and taking the listener on an intoxicating trip around London, St Petersburg and Siberia. One of Carter's most empowered female protagonists, Fevvers heralds a 'new Age in which no women will be bound down to the ground,' making this a timeless and wholly inspiring literary masterpiece. 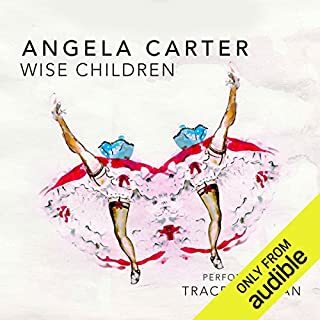 Angela Carter was born in 1940, in Sussex. 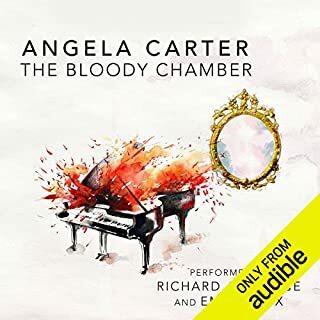 She grew up in the shabbily respectable south London district of Balham, the second child of an eccentric journalist father and a neurotic housewife mother. She studied English at Bristol University before travelling extensively, teaching and writing numerous best-selling novels. They have all received considerable critical acclaim and remain firm favourites of modern English literature. 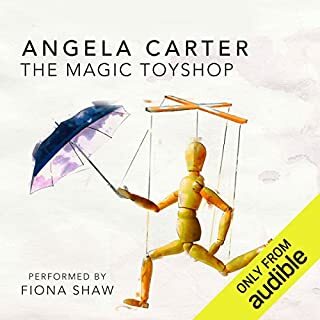 Angela was a devout feminist throughout her life, wrote for Spare Rib magazine and voted Labour. Her novels are wholly reflective of her world views and continue to inspire new generations of men and women worldwide. Adjoa Andoh is a British film, television, stage and radio actress, best-known for her roles in Invictus, Doctor Who, Liar and National Theatre Live: Les Liaisons Dangereuses. 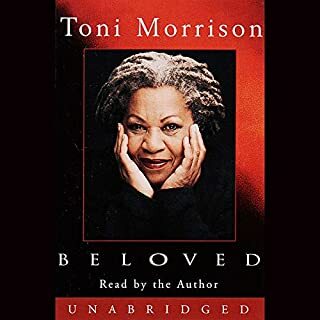 She is well versed in the art of narration and has voiced over 100 audiobooks, including Naomi Alderman's The Power, Marcus Chown's The Ascent of Gravity, Alexander McCall Smith's The No. 1 Ladies' Detective Agency and Fiona Barton's The Child. Adjoa has had many leading roles with the Royal Shakespeare Company, The National Theatre, The Royal Court Theatre and the Almeida Theatre, and she's acted in a production of Nights at the Circus. seems to hang on the last sentence! I loved the story, the characters, the accents (esp. East London and Russian) and the themes of motherhood, loss, love, deception, magic, mysticism, animism and confidence! and will definitely be listening to it again. 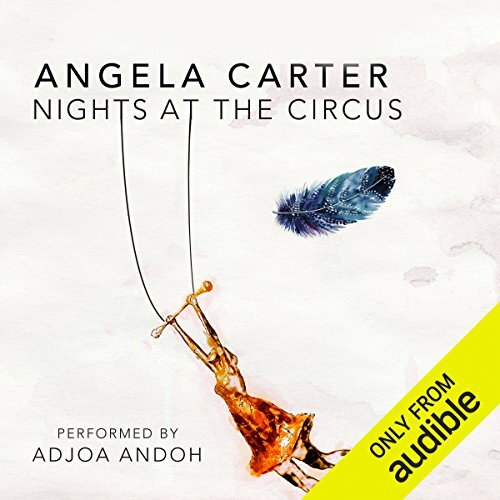 Adjoa Andoh perfectly captures Angela Carter's characters & imaginative narrative. A favourite novel beautifully read.